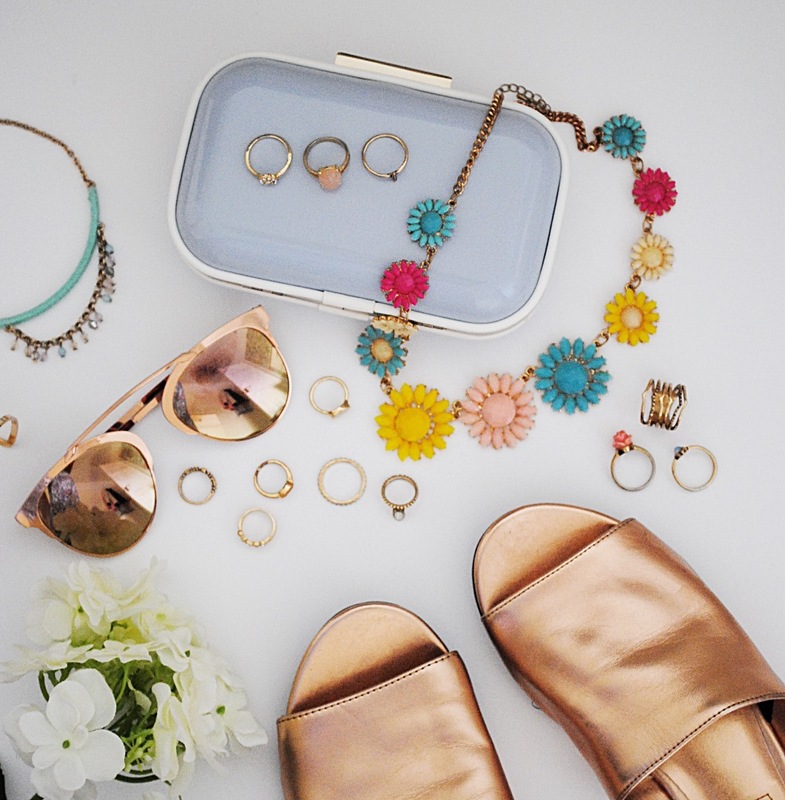 What’s a summer outfit without a few accessories? Actually, that’s quite hypocritical of me, as I am not massive on jewellery. BUT that’s not to say my accessory collection isn’t a force to be reckoned with. Not only is this my favourite colour, its pale tones complement anything from greys to pastel pinks – perfect for all seasons! These are super comfy to slip on and reflect nicely in different lights. I love Topshop’s selection of rings; the sets are always put together so nicely and have a great mix of midi and normal sized rings. Who doesn’t want some rose gold sunglasses in their life? WHO I ASK YOU?! I got this necklace ages ago but it’s been a summer staple for me ever since! I always turn to it when looking to brighten up my outfit and often pair it with a white dress or top and jeans. 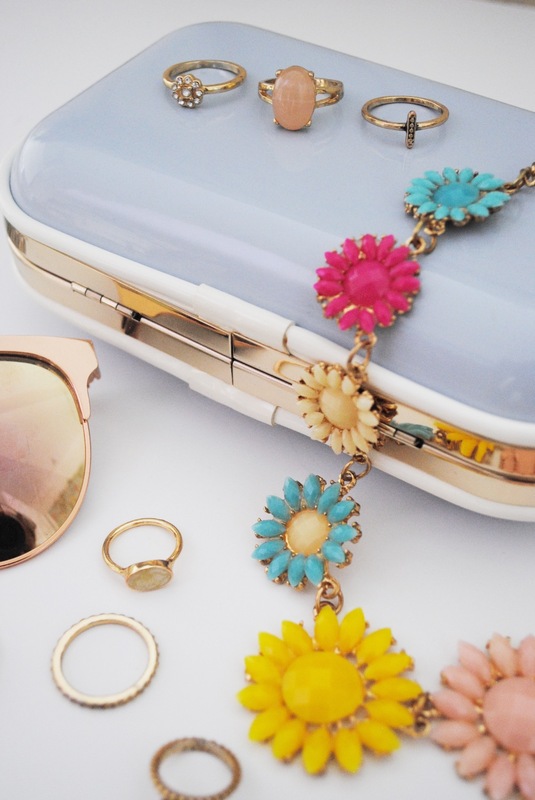 What are your summer must-have accessories?